Ardbeag, in the Highlands of Scotland, enjoys sweeping views of the Cairngorm Mountains. Conveniently located in the village of Newtonmore, which offers a wide range of services and activities, it is an ideal base to explore the Cairngorm National Park as well as the wider Highland region. Whether you want to climb a mountain or curl up with a book in front of a wood-burning stove – Ardbeag is a great place to be. 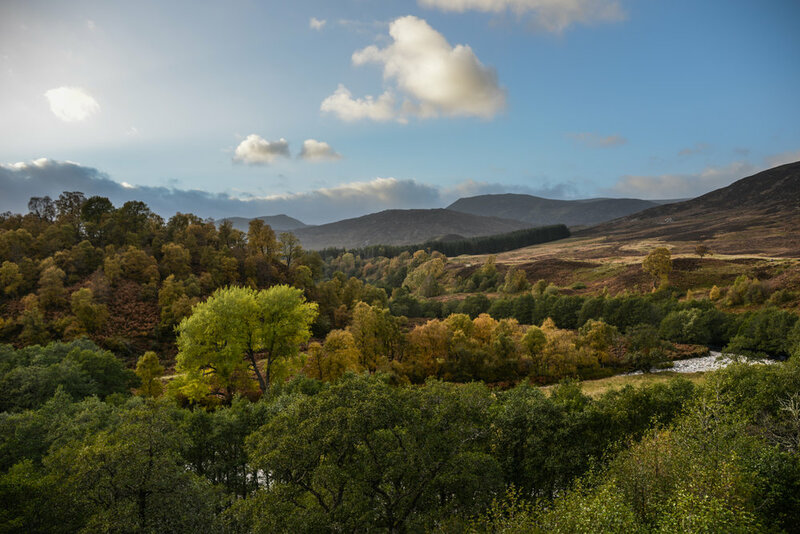 Sometimes it's enough to just look at the view, but there are plenty of other opportunities right on your doorstep – from a round of golf on the Newtonmore Golf Course to immersing yourself in local history at the Highland Folk Museum. A little further afield, there are endless possibilities for walking, cycling, fishing, and watersports. After all that fresh air, why not check out the highest distillery in Scotland? Since my great-aunt, Christine Brigden, moved into Ardbeag in the early seventies, four generations of our family have enjoyed holidays at the house. Winkie, as she was known, had a love of family gatherings, hillwalking, and birdwatching. She turned every outing into an expedition requiring an ancient tent and a good supply of string and fire-lighting equipment. Evening meals cooked in the kitchen were too far easy and uninteresting. Better to light the bonfire and fry sausages in a blackened pan, our eyes stinging in the smoke. It was enough to just be passing her garden at the right time in order to be drawn into this gathering and made welcome. We hope that this house will continue to create memories for new visitors – just like Winkie created so many lasting memories for all of us. Ardbeag is available for rent on a weekly basis throughout the year. There are two double bedrooms and one twin bedroom, which can comfortably accommodate six adults. For families with small children, the trundle beds in the twin bedroom can be extended to sleep four. There is a well-equipped kitchen, a spacious dining room, and a living room with a wood-burning stove. The porch offers panoramic views of the surrounding mountains. The house has a bathroom upstairs and a shower room as well as a utility room with a washer dryer downstairs. In the living room, you will find a television and a Bluetooth MP3 player; complimentary WiFi is provided. Please note that Ardbeag is a non-smoking house. Well behaved dogs are welcome for an additional charge. Bedding and towels are provided, and a refundable deposit of £100 will be charged at the time of booking. Prices vary according to season from £400 to £800 per week (Saturday to Saturday). Please email us at info@ardbeag-cottage.co.uk for further information.